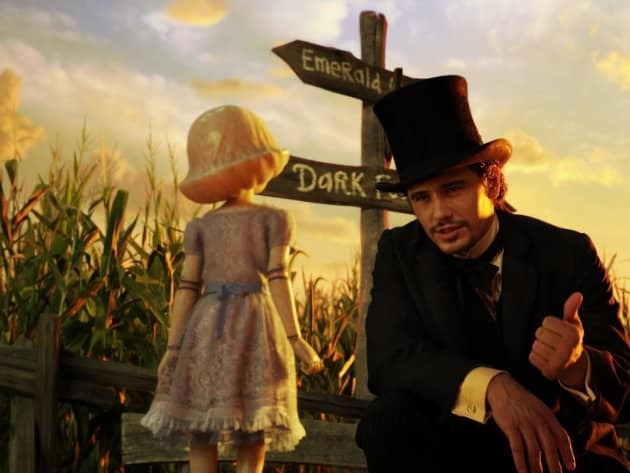 This still from Oz: The Great and Powerful features James Franco as Oscar Diggs. Sam Raimi's Wizard of Oz prequel will premiere March 8. [sucked into a tornado] I don't want to die! I haven't accomplished anything yet! Please! Permalink: I don't want to die! I haven't accomplished anything yet! Please! I don't want to be a good man... I want to be a great one. Permalink: I don't want to be a good man... I want to be a great one.